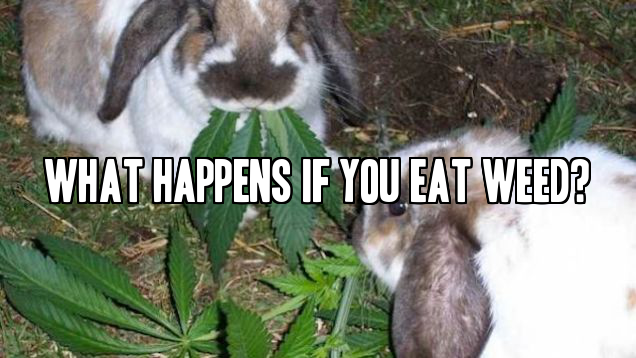 →What Happens If You Eat Weed? The debate over whether you can eat raw weed to get high has been raging on for years, and both sides have some pretty compelling arguments to support their claims. Rather than get involved in one of those heated debates, it is time to shed some real light on this subject and finally give you some solid answers so that you can get back to the end result. Here are just some of the things to consider about what happens if you eat weed. The short answer concerning what happens if you eat weed, you will certainly get high. The one thing to consider however is that this is by far the worst way to get a buzz for many reasons. Eating marijuana raw is unlike smoking or cooking the weed because no heating in involved. In order to experience the same quality high as you would from smoking or eating them in brownies, you will need to consume a huge amount more. You would simply be wasting your valuable stash eating it and getting about an eight of a high as you would dropping it in the water pipe or cooking it up. In order to better understand why eating the raw weed is a terrible idea, you will need to understand the difference between THC and THCA. The cannabis plant that is growing is considered to be non-psychoactive. The reason for this is there is no THC, only THCA in the plant. You will not get too high from just the THCA. 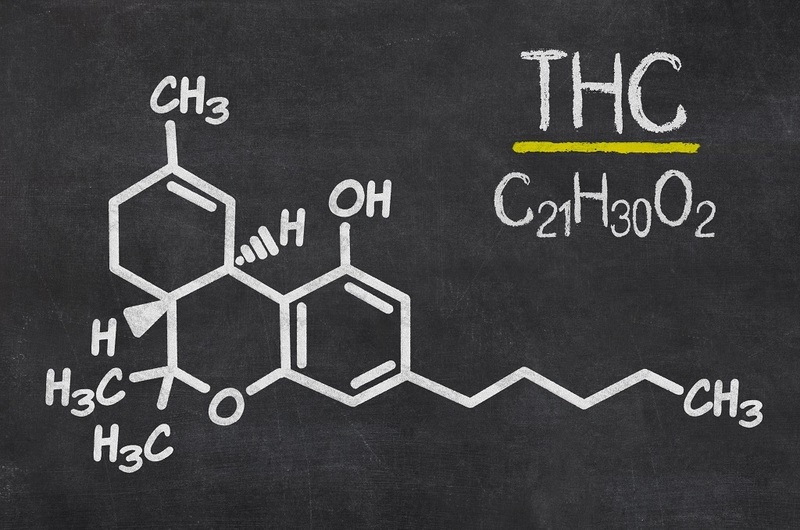 In order for the plant to get you high, that THCA must be converted into THC. This process occurs during the curing stage and when the plant is heated. So if you just start munching on a bag of weed and think you are getting high, you are losing out on all that THC that was never converted. Two things are happening, you are throwing away your money and you are barely catching a buzz. Heating your weed activates the THC process and will get you stoned. Eating your weed presents a problem because now the cannabis will have to enter the bloodstream in order to give you that high. The raw weed is extremely difficult for your body to digest, so most of that THC is going to simply pass right through the digestive tract and exit the body as waste. 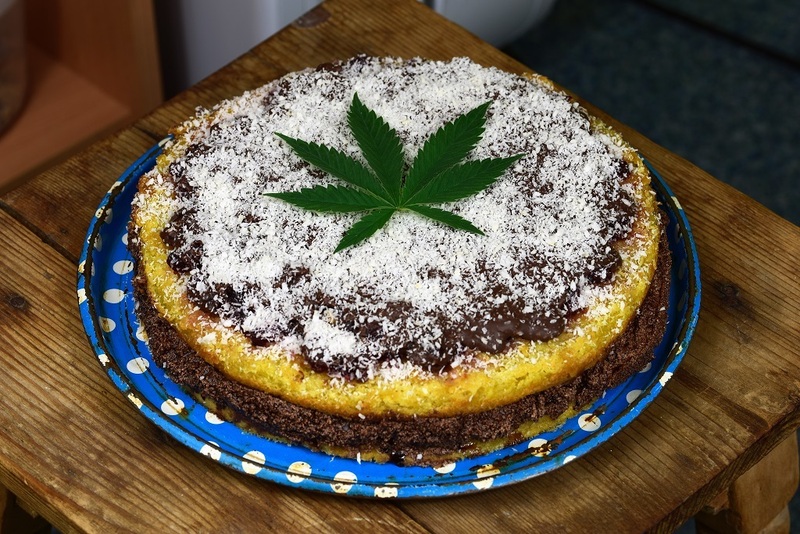 By cooking the weed then eating, you get the maximum benefit of all that THC. While on the subject of eating marijuana, consider how awful tasting raw weed can be. There is nothing tasty about munching down on some raw plant material, but it gets even worse. The body could reject the weed and make you feel sick, nauseous, with vomiting as a bonus. Part of the reason that your body is rejecting the weed is commercial growers utilize pesticides to keep insects from destroying the crops. These toxic chemicals are still on the leaves when you ingest, causing you to get violently sick. Photos from: Zerbor / depositphotos.com, Laborec425 / depositphotos.com.